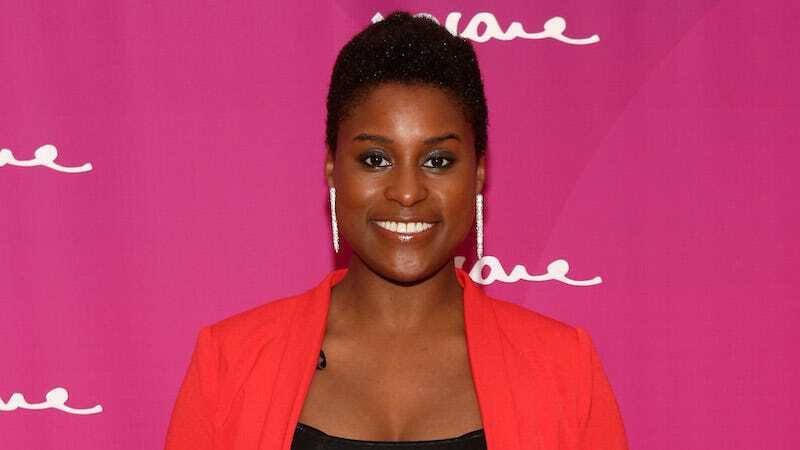 Issa Rae and her fans are playing the waiting game with her TV career, and much of the delay has to do with Hollywood’s cluelessness. In a new profile for The New York Times, Rae talked about the status of her HBO pilot and her struggles getting projects heard in the thick of whiteness. In 2013, Rae landed an HBO deal off the success of her Web series The Mis-Adventures of Awkward Black Girl. The series was officially ordered to pilot earlier this year. But in today’s NYT profile, written by Jenna Wortham, Rae says the show—titled Insecure—has yet to begin filming and doesn’t have a director [Update: The wonderful Melina Matsoukas is directing the pilot] or a cast confirmed other than Rae herself, who’s playing the main character. Rae recalls a phone conversation with a network executive who wanted to make it into a pan-racial franchise operation, starting with ‘‘Awkward Indian Boy.’’ Another suggested Rae recast the lead with a lighter-skinned actress with long, straight hair — in essence, the exact opposite of Rae. She turned down the offers. ‘‘They wanted to make it as broad as possible, broadly niche, but I was like: No, that’s not what this is about,’’ she says. Rae posted episodes of ‘‘Dorm Diaries’’ to Facebook, and the show quickly circulated around her campus. From there, it spread to others, like Georgetown and Harvard. Rae learned that she had a knack for portraying everyday black life — not made special by its otherness or defined in contrast to whiteness, but treated as a subject worthy of exploration all of its own. ‘‘It was a light bulb, my epiphany moment,’’ she says. There’s hope that Insecure will do good damage once it actually airs. Despite the seeming diversity boom on TV with shows like Empire and Black-ish, though, Rae is skeptical about how long it’ll last.